VANCOUVER, B.C. – Brady Carthy has worked within the technology industry for over 15 years with one goal: creating the most competent systems integration company in Canada. 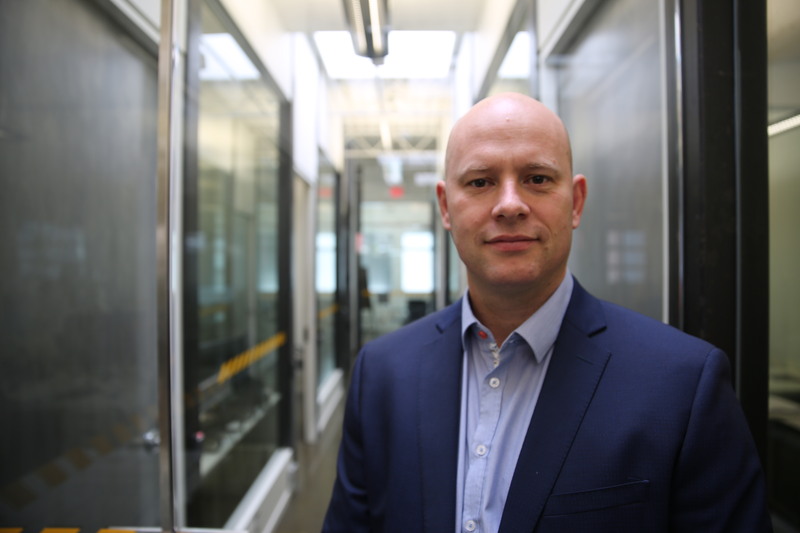 With a passion for building strong teams of core employees, Carthy was recently promoted to Executive Vice President of Paladin Technologies Inc.
Paladin Technologies emerged September 1, 2017 as the largest complex integrator in Canada. Previously known as Paladin Security Systems Ltd., the Security Integrator of the Year (2015) acquired three major integrators across Canada since the end of 2015 – the Action BMS & M6 Group of Companies, CONTAVA Inc., and Marcomm Systems Group Inc.
Brady joined the Action BMS & M6 Group of Companies in 2003. After the merger with Paladin, he focused on spearheading major projects and organizational reach in British Columbia. Over two years after the initial merger, he has played an invaluable role in aligning the organization’s culture, client relationships, and overall business growth across Canada. Throughout his career, Carthy has worked in all aspects of the industry including sales, estimating, project management, and management. His humble approach to leadership, paired with industry expertise, has earned him respect not only amongst his clients and manufacturers, but continued respect from his team. In his new role as Executive Vice President, Brady will set strategic direction for sales and operations, with full oversight of Paladin Technologies’ various product lines for its integrated security, audio visual, low-voltage infrastructure, networking, wireless, and unified communications. In adapting best practices from the successes of acquired entities, Paladin is using decades of experience to stand out amongst its competitors. As one, the group has implemented a national design team to ensure that no matter a client’s challenge, the integration of the most sophisticated systems is achieved through a strong delivery model. Furthermore, the company is working with the leading, proven, and most reliable technologies on the market, positioning itself to be the single point of contact for accountability when managing clients’ building technology systems.